I’m joining in on a new feature from Diary of a Stay at Home Mom. Friday Favorites! 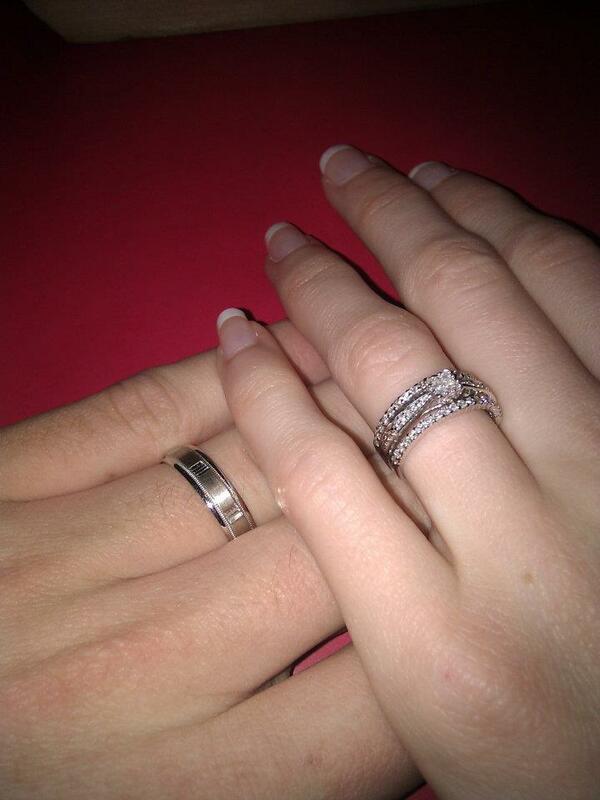 ….our wedding rings!!! I love, love, LOVE them. They are sooo perfect for each of us. I love just looking down at the ring on my left hand….I love seeing it on The Pilot’s hand…I love reaching out to hold his hand and feeling it on his finger….and I love that we both love them. Very lovely and special indeed. 🙂 They are both very nice rings, and I can’t explan it but I also just love it when Erik gets to wear his(he isnt allowed to at work so its only when has has at least 2 days off that its on him and I love it). this is so sweet. very lovely rings. I love that you thought of using your rings on this. They are beautiful and the meaning behind them makes them more so. I still love our rings – after 30 years!